The voters' paper lists will also be a thing of past in most ridings, replaced by an electronic version called e-Poll Book. 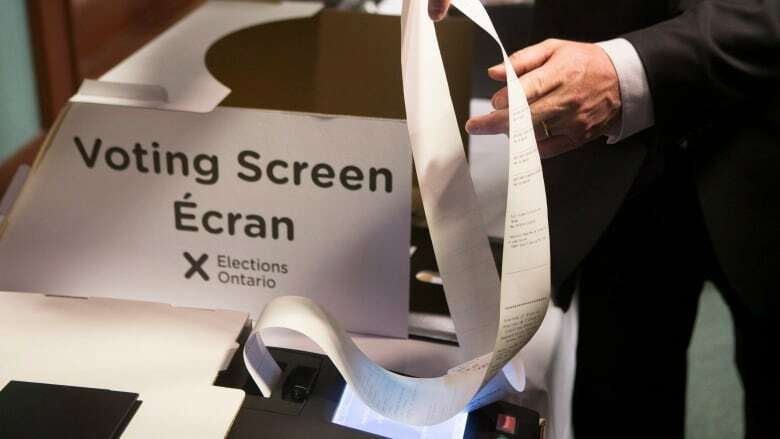 A spokeswoman for Elections Ontario says the new technology was tested at two byelections in 2016, and was also used in a variety of municipal elections. "We're hoping this will be much more efficient for the voter," said Cara Des Granges. "Getting results should be faster and the technology is proven to be more reliable than tabulating votes by hand." 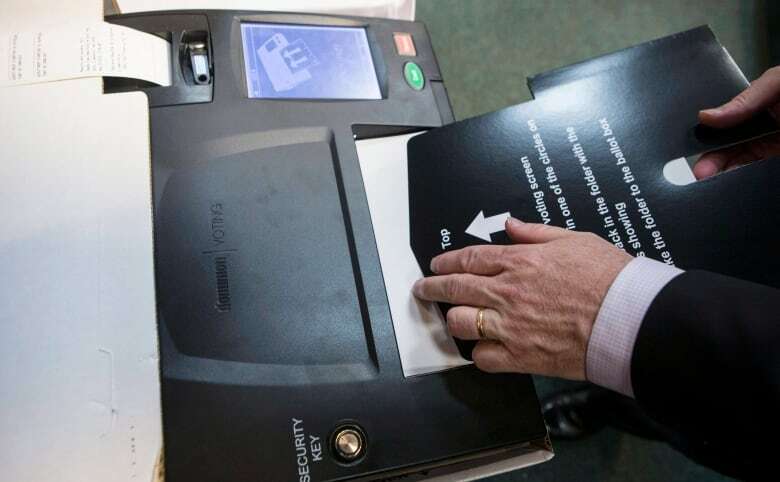 In the Feb. 11, 2016 byelection in the Whitby-Oshawa riding, it took only 30 minutes to count the ballots using the new machines, compared to the 90 minutes it took officials to count them by hand, according to an Elections Ontario report that examined the byelection. "Elections Ontario is increasingly unable to find the required number of polling officials," wrote Greg Essensa, the province's chief electoral officer in the byelection report, titled "Proposal for a technology-enabled staffing model for Ontario provincial elections." It's not an easy job, he wrote, with election officials working 14- to 16-hour days with the meticulous vote-counting coming at the very end of the day. In 2014, there were 76,000 polling officials working on election day. As the population grows, and with 17 new electoral districts added to the election map — Elections Ontario estimates it would have needed 100,000 polling officials if the voting system remained the same. Some of the e-Poll Books had connectivity issues that forced staff to revert to the paper lists, some of the scanners didn't work and staff had trouble resolving the issues. The machines won't be everywhere on election day, however. They'll be in about 50 per cent of the voting locations, but will serve 90 per cent of the electorate. "The public has an expectation as a modern society to expect modern services and this is what we're trying to do," Des Granges said.